Green Vegan Living: Happy Holidays!! I will be back in the new year (following a cruise to Mexico with D - I am so excited!) 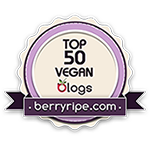 to share even more green and vegan stories, recipes, recommendations, and more. Until then, I'd like to wish every single one of you a very happy holiday season.